The days of North Sea gas and oil dominating the UK energy scene are over as this news demonstrates. If the Scot Nats are insisting on ‘no damage to the environment’ why are the hills and coasts increasingly strewn with towering wind turbines? The first shipment of American shale gas extracted by the controversial fracking technique will arrive in Scotland next month, The Times has learnt. 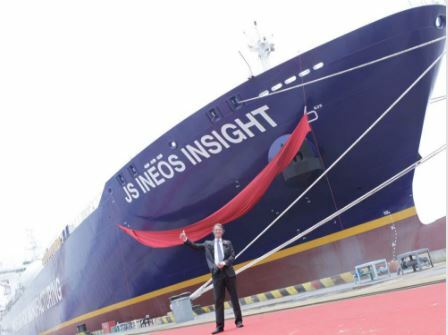 Industry insiders have confirmed that the first of a fleet of “Dragon-class” ships, each capable of transporting huge quantities of the shale gas ethane, will dock within the next seven weeks. The shipment into the Ineos petrochemical complex at Grangemouth [in Scotland] is expected to trigger environmental protests by campaigners who believe that the imports will undermine arguments against fracking for shale gas in Scotland’s central belt. The ship, likely to be the Intrepid, will be hard to miss. Not only is she 590 feet long, but the slogan “Shale Gas for Progress” is emblazoned on her side — promoting the gas extraction technique which is still dividing communities and experts. With fracking in the UK moving rapidly up the political agenda, the first shipment to arrive in Scotland for processing will put further pressure on Nicola Sturgeon’s government to make a decision on the controversial energy source for Scotland. The Scottish government has imposed a moratorium on all fracking and the first minister has made it clear that she will only authorise the extraction method in Scotland if she is convinced there will be no damage to the environment. Anti-frackers and fossil-fuel opponents should give up using petrochemical products if they dislike them so much. Here’s a list of some of the things they would be doing without. INEOS has built the largest two ethane gas storage tanks in Europe at Rafnes in Norway and Grangemouth in Scotland. Delays have always been great tactics. It took Venezuela many years to resort to them. 2. If you know you have to get the English parliament to approve another referendum for Scottish self determination … it doesn’t do much to aid your case if you then say “we are going to stop the rest of the UK from getting its self-determination after brexit”. 4. When the UK has achieved (REAL) independence from the EU …. you don’t commit to block all legislation … when the first piece of legislation is going to be the return of the Scottish fishing grounds repatriated from the EU to UK. 5. In a country that relies on tourism for around a third of its income …. in a party that is claiming to be working for Scotland …. you don’t fall for the English trick of putting up lots of bird mincers on our tourist scenery and wrecking the Scottish tourist industry so that the English can meet their (EU imposed) “green=gullible” energy target. This is the logical result of years of moronic policy decisions. The absurdity of importing US shale gas when we are sitting on at least 50 years worth. There are words to describe those who have engineered this lunacy. Let’s see the first economy to run successfully on zero fossil fuels. Don’t hold your breath waiting though. B & T: The latest estimate is not 50 years worth, but 500 years worth – and that’s just in the northern shale. We must challenge the politics of scarcity. Thanks for the update, Tallbloke. I guess that “politics of scarcity” also applies to governmental common sense. Hi from Oz. For comparison, how many years worth of good British coal is lying there waiting to be usefully employed without the need to import new / expensive fracking technology, if only logic prevailed? Coal is a non-starter in the UK as all the remaining coal burning power stations are being closed down in the next few years. Instead of a £1 billion interconnector to send intermittent Scottish wind power south, they could have sent some US shale gas ships to (e.g.) Liverpool and built a reliable gas-fired power station to burn the gas in. Shale gas is mostly methane with a little ethane. Should this be “shale gas methane”? 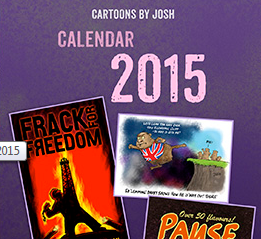 There is nothing in the reality based world that makes fracking controversial. Well, at least you won’t freeze to death when the wind generators spontaneously disassemble themselves in high winds and the solar panels get covered by snow. You shouldn’t criticize the Scots for at least taking a step in the right direction since they are accepting the natural gas from US fracked wells. Unlike the English, the Americans expect to be paid, we are still capitalists contrary to the wishes of certain liberals. BTW – coal plants may not burn coal anymore but that doesn’t those plants can’t generate electricity with natural gas… More customers for our natural gas.